UPCYCLING AFICIONADO, ENTREPRENEUR AND FURNITURE DESIGNER ON A MISSION TO OPEN OUR MINDS TO UPCYCLING. "Eco-friendly products do not need to be made from mud and hemp, they can be contemporary, stylish and desirable as well as taking the environment into consideration" - Max McMurdo. 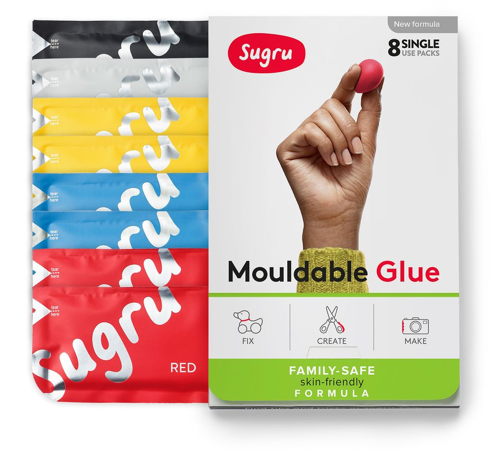 For more fantastic ideas to improve your living space with Sugru why not take a look at our 17 favourite home improvement hacks, organised room-by-room. Max McMurdo developed his upcycling vision when he was working as a car designer in Cologne. A recent product design graduate from Bournemouth University, he noticed that German culture was more open-minded to reusing and recycling than in Britain. Max returned home to the UK with a design vision that intended to change all that. He knew that for recycling and upcycling to appeal to Britons, his sustainable design alternatives had to be desirable. That meant manufacturing furniture from items of rubbish that weren’t merely functional, but beautiful, stylish and high-end. Max brought this vision on to our television screens during his 2007 appearance on the BBC’s Dragons’ Den. Securing investment from both Deborah Meaden and Theo Paphitis was a huge helping hand in the transformation from vision to business. Today, he continues to design awesome upcycled furniture for his sustainable furniture company Reestore Ltd. Some of his most spectacular designs include: coffee tables made from wash drums, sofas made from bathtubs and desks made from aeroplane wings! He also makes television and school appearances bestowing the virtues of upcycling entrepreneurship on the public and the next generation. Max’s designs challenge misconceptions about recycling and upcycling. The idea of manufacturing a new product from disposed-of items chimes of bad taste and poor quality to many - but he proves this couldn’t be further from the truth, when a good ounce of creativity is involved. Max is contributing to a changing designscape - one that is increasingly valuing the environment and sustainability, in a way that is stylish as well as functional. Check out this blog for more examples of our upcycling design heroes.